Some weeks ago Grindline began checking the site for some underground impediments to ensure that the conceptual design can be supported at the location. Exploratory digs with a backhoe revealed some underground permanent structures and utilities that need to be worked around in some way. The riverfront site contains some unmapped utilities and some bulkhead supports that extend well into the skatepark site. The City and Grindline are looking for ways to retain the design of the skatepark down at Rivergate. If the skatepark needs significant design changes, we would be invited to give input at another public meeting. We do not have a ground breaking date yet the City and Grindline are expecting to be under construction through the summer. 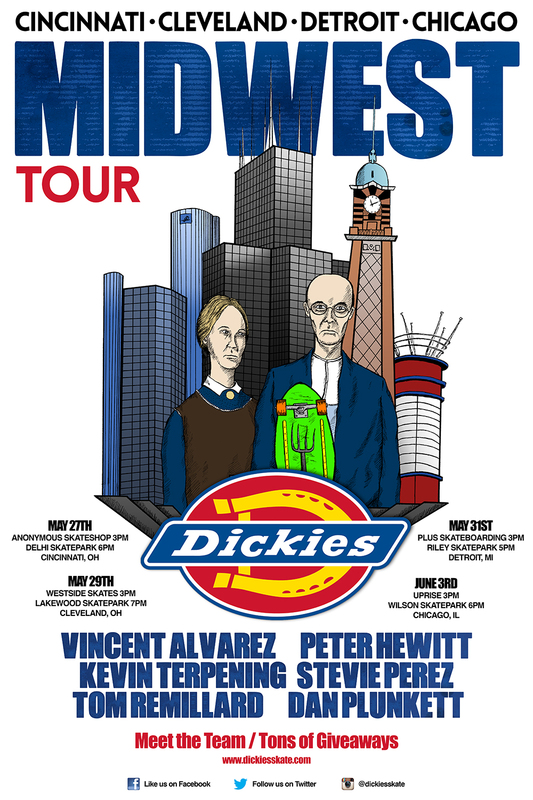 Come skate with new Chocolate Pros Vincent Alvarez and Stevie Perez along with veteran Peter Hewitt and Ohio Son Kevin Terpening at the Lakewood Skate Park. The ramp is 32' wide, 5' tall with about 7.75' transitions. 2 inch black steel coping and birch riding surface make it a very solid, fast ramp to ride. The rest of the space is getting cleaned up. If you want to get your own access to the Skate Kitchen, you can now sign up a a Founder level donor member and get your own secure electronic keyfob access - 24/7. PSG will be offering up to 40 Founder level memberships and as of this day we have had 28 sign up. These PSG members are not only donors but have been working on the space and getting it ready for more PSG events and lessons this winter. Skate Kitchen Ramp Almost Complete! Don Billington, Chuck Sinito, Andy Liedel, Dustin Sheesley, Gabe Venditti, Don Moran, Dan Overfield, Dan Byler and a few others have been putting in long hours on the new Skate Kitchen mini ramp. The ramp is being built by 100% volunteer efforts by PSG members that will give us a chance to continue work in the winter months and hold small events and contests even when it rains! 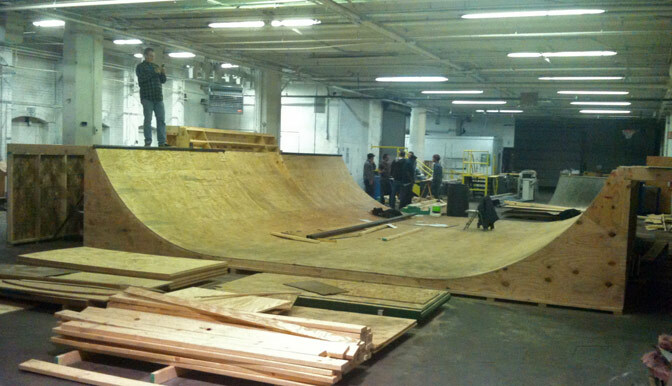 Read more about the Skate Kitchen project. After about 3 years using our old home grown system we have moved to a new membership database to make it easier to keep people up to date with what's going on. If you have never signed up as a member of PSG, now is the time. There is a lot in store for 2012. The Skate Kitchen website is coming back but we also added an indoor spot and mobile skate spot for getting out to more events during the summer. As we get more involved in more skate park projects and work on more events and lessons, the costs of PSG have gone beyond what we can cover out of our day jobs so we also started offering some paid membership levels to help cover costs and build toward bigger things.